Happy Fall, Y’all! It’s Kristen from Capturing-Joy.com, deep in the heart of Texas. 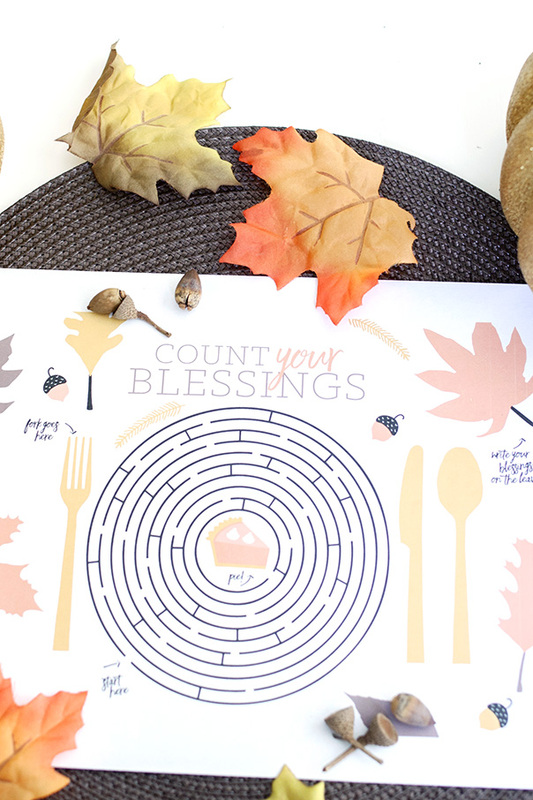 I’m here today to share a free printable Thanksgiving Placemat for Kids. Just print it off, and place them at the kids tables to enjoy while they wait for the meal to finish. The leaves are meant to be filled in with ‘blessings.’ I think it’s important for kids (and adults) to really think about, and name their blessings all year, but especially at Thanksgiving time. A day to reflect on all that we’ve received, share gratitude. This activity is not only fun, but reflective. 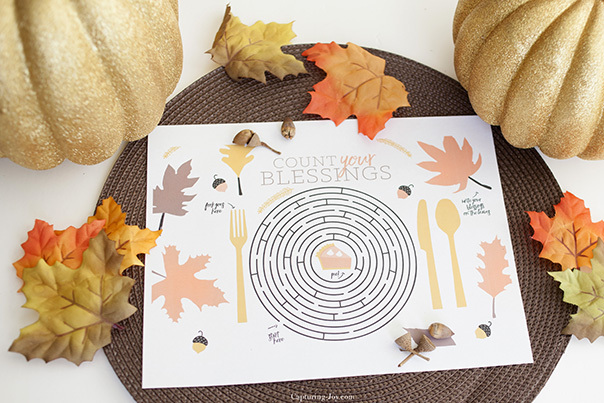 And that fun little maze, takes them RIGHT TO THE PIE! While learning a little place setting etiquette with where the fork, knife, and spoon go. 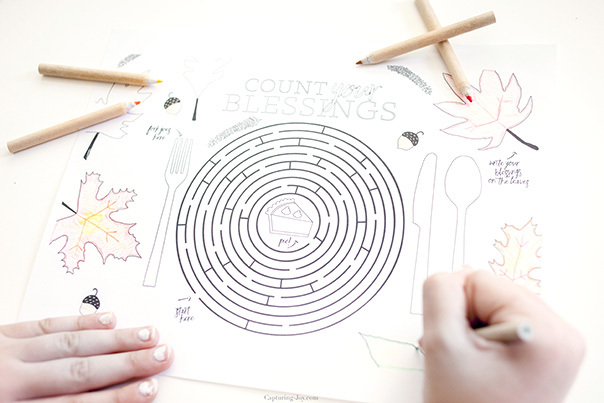 Here is another shot of the full color version… I shared another version, the Kids Activity Placemat for the Thanksgiving Table, on my site last year. Print them all for variety. I’ve got lots more Thanksgiving ideas on my site, Google: Kristen Duke Thanksgiving to see all sorts of activities, ideas, and recipes!